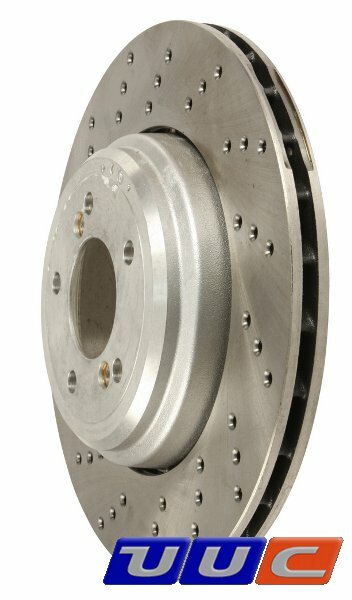 REAR DRILLED & FLOATING rotors for E90/E92/E93 M3 coupe/sedan/convertible. 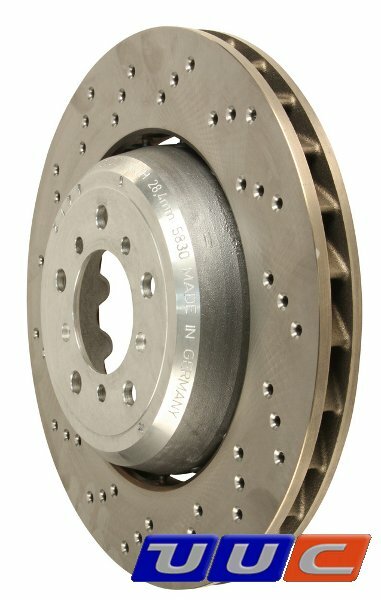 German-made rotors meet or exceed OE quality and specifications. Fitted with the same true "floating" mechanism as the original BMW rotors fitted to the M3. High carbon (true German "graphite flake" technology) assures highest heat absorption capability for longest and smoothest operational life.